Still I Rise is a critically acclaimed work with an impressive scope: the entire history of Black America, told in an accessible graphic-novel form. Updated from its original versionwhich ended with the Million Man Marchit now extends from the early days of colonial slavery right through to Barack Obama’s groundbreaking presidential campaign. 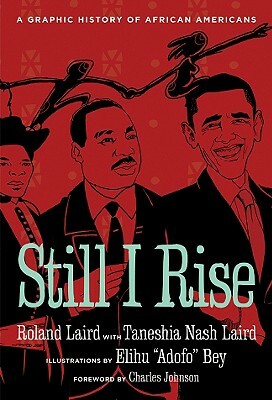 Compared by many to Art Spiegelman’s Maus, Still I Rise is a breathtaking achievement that celebrates the collective African-American memory, imagination, and spirit.